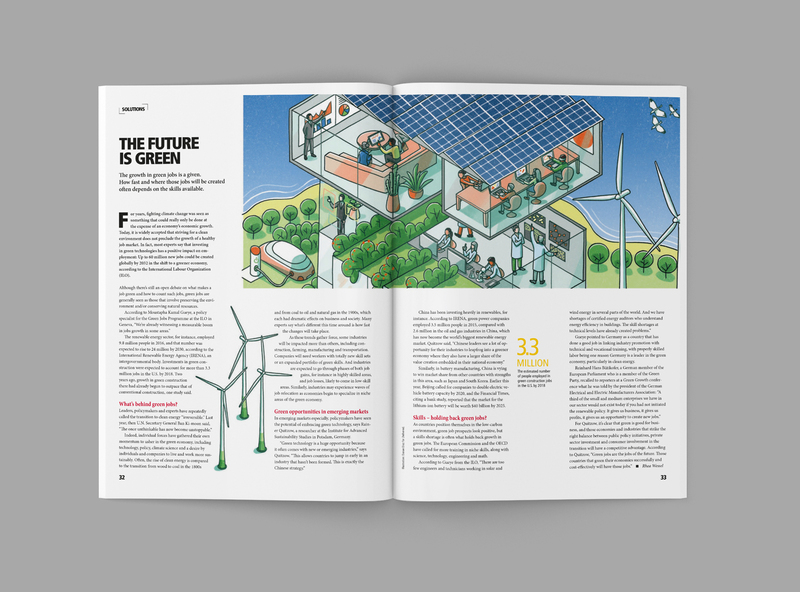 Illustration for DHL Delivered Magazine issue 05-17 titled "The Future is Green". The growth in green jobs is a given. How fast and where those jobs will be created often depends on the skills available.